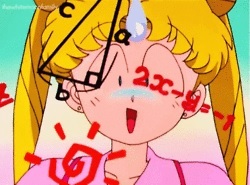 As we often end up doing, I think it’s important that we first clarify what we actually mean by “more powerful.” It may seem like a silly question at first glance, but there are actually several ways that we can evaluate power in Sailor Moon, and the answer may change depending on what metric we’re using. What I’m talking about today is in terms of actual attack power. You know, the standard World Shakings and the Fire Souls of the Sailor Moon universe rather than stuff like when Princess Serenity brings the full power of the Silver Crystal to bear. And this isn’t just because I’m trying to rig the argument in my favor, either.1 In the case of Sailor Moon, Sailor ChibiMoon, and to a lesser extent Sailor Saturn, there’s a big difference between their normal attacks and when they’re releasing the full force of their power. So it’s best that we look at everyone on as even of a playing field as possible. Finally, our conversation is restricted to the anime, for reasons that I’ll be explaining shortly. So how do we compare the relative attack strength of each of the Sailor Soldiers, anyway? Fortunately for us, all we have to do is open up a book and check! Specifically, I mean Nakayoshi’s Sailor Moon SuperS: The Movie Memorial Album.2 Much to my surprise, this book actually contains a list of each of the Sailor Soldiers’ attacks up to that point in the series, and ranked on a 5-axes, 10-point scale. First off, the Inner Senshi! The numbers here are pretty much what you’d expect from Sailor Mercury. Nothing terribly powerful, and as we’ll see down below, she tends to be on the low side compared with her Sailor Peers. I’m surprised to see that Sailor Mars’ attacks are actually slightly less accurate than Mercury’s, at least until we get to Flame Sniper. The recharge being low makes sense, when you consider that her attacks are fairly powerful. Unsurprisingly, Sailor Jupiter is the powerhouse of the team. Her accuracy is pretty bad compared to everyone else on the team, but when you’re playing with electricity, I guess that’s to be expected. What Sailor Venus may be lacking in sheer attack power, she makes up for in generally high scores across the board. Compared to the other members of the Inner Senshi, Venus shows the least amount of growth between her first and second attacks, though only barely. Now that we’ve gotten the Inners out of the way, let’s take a look at how the Outers match up! Sailor Uranus is unique in that she is one of the only characters to actually show a net loss with her new attack, if only by 0.5 points. In-universe, I think this help supports the idea that new techniques are simply differently powered, though there’s also an argument to be made that this is an attack coming through the Space Sword and not necessarily reliant on Uranus’ power. Read also: How Did the Sailor Senshi Get Their Planetary Names? 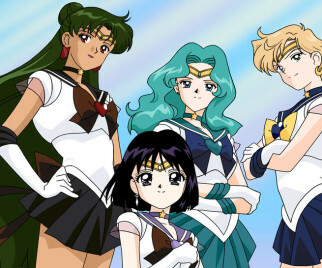 Sailor Neptune stands out for being the only Sailor Soldier to show no net change whatsoever. I do find it interesting that her stats in each category are completely different, though, so it at least provides additional incentives for her to rotate between either Deep Submerge or Submarine Reflection as the situation dictates. Since Sailor Pluto only has one attack to work with here, we don’t really have anything to compare it against. 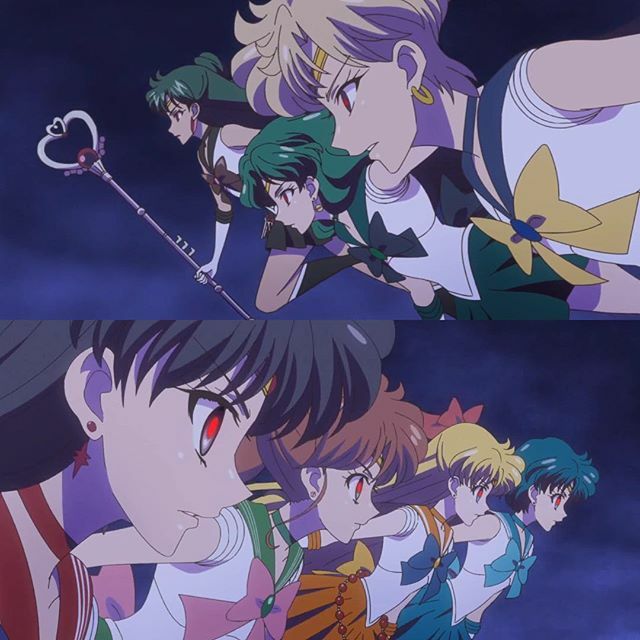 However, second only to Sailor Uranus’ attacks, Sailor Pluto’s Dead Scream is one of the most powerful techniques in the series. In short, what this basically means is that on average the Outer Soldiers are, in fact, more powerful than their Inner counterparts. Even if we were to throw out the Inner Team’s first attacks (since the Outers had no corresponding attacks of their own), that still doesn’t increase the average enough to cover the gap between the teams. Obviously there are a lot of problems with this analysis, not the least of which being that the material we’re referencing here is probably just a bunch of random numbers thrown together by an intern. However, even if we were to argue that the numbers themselves aren’t accurate, I think that it at least gives us an insight into how the difference in power levels were viewed across all the Senshi. So what do you think about all the stats? Anything strange stick out to you (like Crescent Beam’s surprisingly low attack power…)? And, if so, what would you change if you were in charge of rating the Sailor Team’s powers? 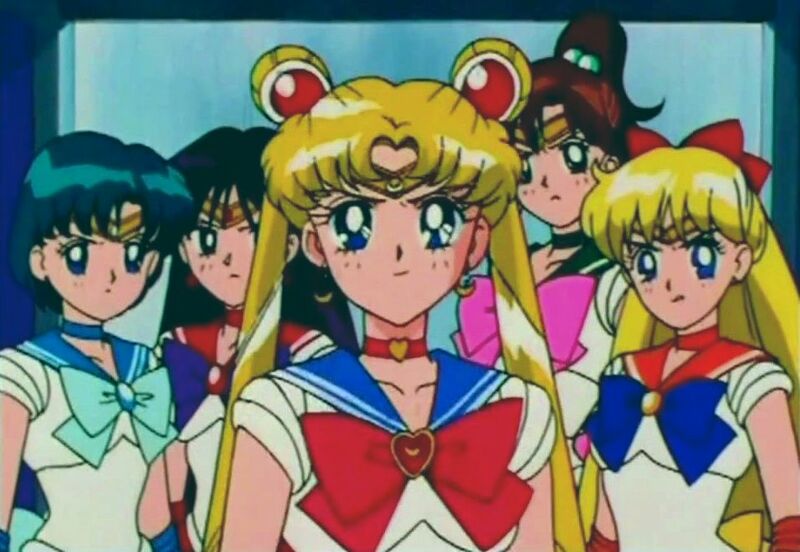 ← Is Parallel Sailor Moon a Part of the Series Canon? The intern obviously wanted to balance things… but we could rationalize as Sailor Mars’s attacks being harder to control? Fire Soul comes out as a spiral and explodes on impact, two things that don’t indicate much accuracy. On the other hand, on Venus’s case I think the intern purposefully thought things out. IMO Venus’s trick with her Crescent Beam is to always know where to hit, and having the speed that makes it impossible to dodge. For example, that point blank hit on the DD Girl or her hits on the hands of the Shitennou. It’s not like the Fire Soul or the Supreme Thunder, that simply overpower enemies. Huh, that’s a very good point on Crescent Beam. I didn’t actually think it through for very long, but it makes sense when you put it that way! Hey I know this is unrelated to the article Tuxedo Unmasked but you mentioned earlier at some of the faulty information on Sailor Moon available online that some people thought there were Sailor Knights? If you don’t mind me asking who were these Sailor Knights supposed to be in the whole fan theory nonsense? It wasn’t a really wide-spread theory that was actually believed by fans, but it was a really common fanfic/rpg theme that you’d run across various fan websites. Unfortunately, many sites didn’t bother to actually explain that the information they’re providing is about their fanfic universe and wrote everything as if it were fact. For a new fan to the series with slow internet and awful, late 90s search engines, it was hard to tell which information was true and which was just bizarre fan rumor. If I recall correctly, the official Sailor Moon RPG book also made reference to “knight” characters that you could play, but obviously nothing in that book should be taken as canon. It’s certainly more powerful than Shabon Spray at least! And only .5 less than Fire Soul so yeah it’s not too bad. I like how her attacks reflect her all-arounder status you pegged her with in an earlier post ^^v. After reading this, the question is: why outer senshi are more powerful than inner senshi? Princesses need the best “bodyguards” near. So imagine there’s a invasion… What’s the point about inner’s protection if outer’s couldn’t defeat the bad ones first? Or there’s something deep? 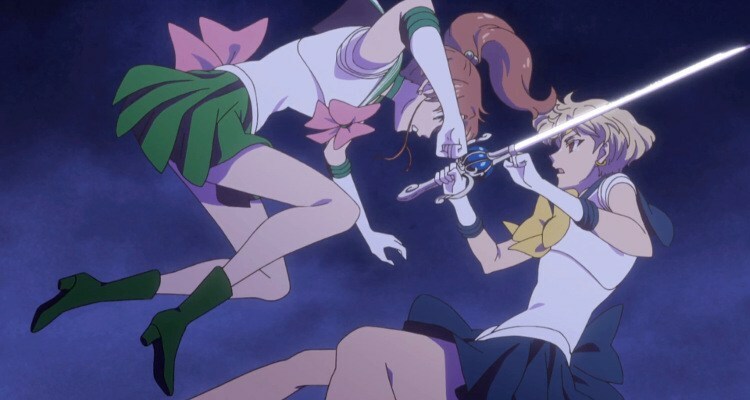 To be fair, the Inner and Outer Senshi have completely different job descriptions: the Inners fight against threats from within the solar system, and the Outers fight against threats from outside (Pharaoh 90, Galaxia, etc.). So it does make sense in a way why they would be more powerful. After all, it’s better to stop an enemy before they get all the way to your Princess. Her guards should be the last resort. When you watch the actual anime(the 90s one specifically) because there is so much little moments of comedy that you cannot take any of the attacks seriously. So I would not even think that when they said the outers were more powerful that it made any real sense. However, from the first episode of S it does seem like they are because Uranus and Neptune seemed to be able to defeat the enemy. Then again I believe the inners have done the same before. It’s interesting to see Pluto’s one attack having so much power. Of course, this is probably something made up on the spot. I guess looking from the episode when it first appears her attack does seem to burn the enemy. I am upset the outers only had so few attacks in the anime. Saturn and Pluto even worse in that regard. No real attacks from Saturn well no offensive ones except for her attack to destroy everything in stars. Pluto did not even get her other attack. It is sad that in the manga they did not get two more new attacks as they were in the 4th story and 5th story arc. I guess it has to do with the fact that they were basically guest stars in Sailor Stars. On Sailor Pluto though I am wondering why they never made a new animation for her planet energy ball flying at the enemy animation for Dead Scream. I mean Uranus and Neptune had their own unique one, but Pluto basically had Uranus with color palette change.